No, seriously, that’s a question. I was hoping you’d know. So, there are three game projects I’m working on at the moment! I’m not sure what to call them so my titles for them will be somewhat… direct. Ignore placeholder cube there. It just wants attention. This is a game set in space. It’s steampunk. It’s a fantastic idea (indirectly inspired by Elite, I think). You buy a ship. You do small missions. You upgrade your ship. You get better missions. You can trade. You can fight. You can fly around a galaxy occupied by warring factions. I also want to make it so that you can explore unmapped space, making FTL jumps into terra incognita and then selling the rights to the system and getting a cut of all the warp-gate profits. I want a world where you can rise through the ranks of a society and change its culture. I want a game that doesn’t just follow a character but a dynasty. 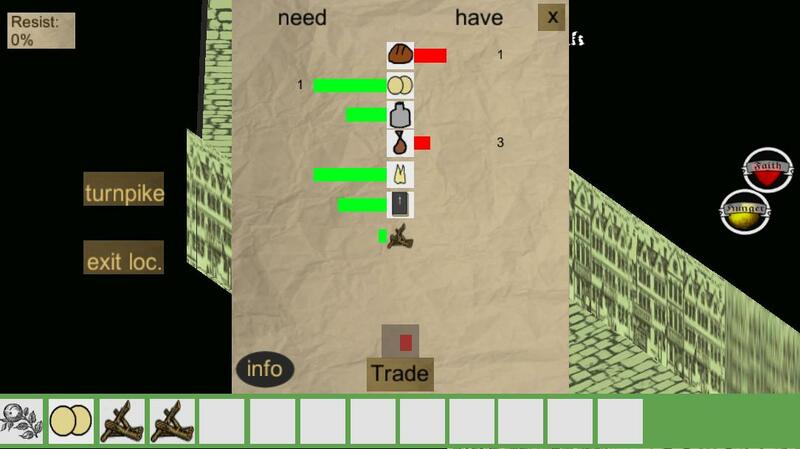 Clearly, this game turns me into Peter Molyneux. So take all of that with a pinch of salt. Realistically, only half those features can make it into the final product, if it gets made at all, which it may not, given its terrifying scale. 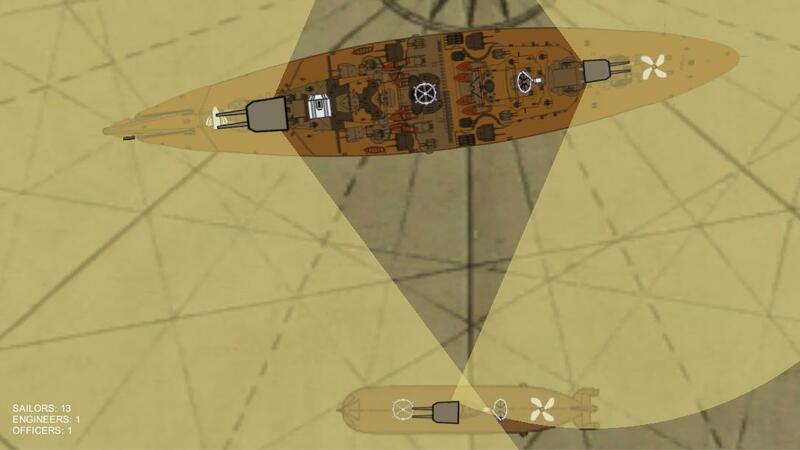 The combat would be ship-to-ship top-down combat, in the style of FTL – except with great hulking Steampunk ships. It’d feel very much like World War 1 naval combat, but with a few neat twists: torpedoes would be able to speed up indefinitely because there’s no drag in the vacuum of space, for example. 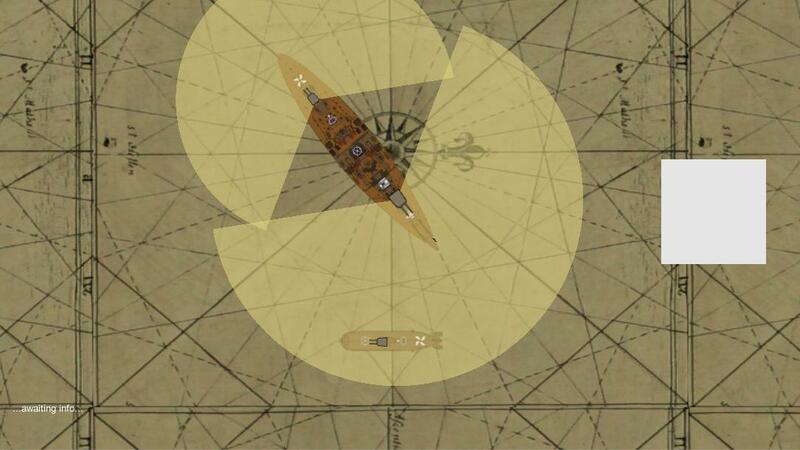 Your ship is split into sections – navigation, bridge, engines, cargo etc. – and you have to protect those sections from enemy fire. If the hull is breached, people in the damaged section are killed and you have to send engineers in to patch up the breach and make the room workable again. I also want there to be cultural elements: do you allow your daughters to have their own ships, making them happier but lowering your social standing in the eyes of others? Do you abide by social mores to get ahead, or break the mould and suffer the consequences? Ugh. I really have to control my inner Molyneux. Again: this may never happen. I didn’t realise when I started but this thing is immense. I started making it in DarkBasic Pro about 18 months ago for fun(!) but realised that was a bad idea because DBPro only compiles for Windows and is not the best option out there. So I remade the combat prototype in Unity. I have never done AI before. So, just for the record – if I can’t figure it out, this game may never see the light of day! Or, y’know, if it collapses under the weight of all those impossible goals. This is so placeholder. Wow. Hopefully the finished game will look different. 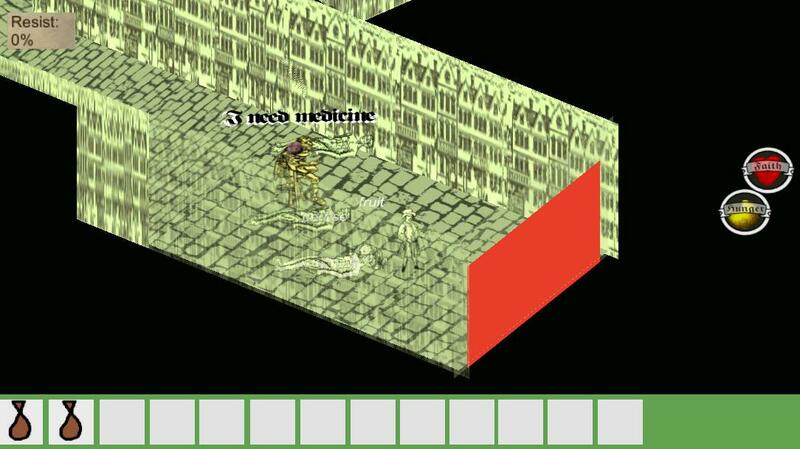 This was an idea I had back at the V&A game jam: what if you had a roguelike in the style of Teleglitch, but instead of combat, you were trying to avoid the plague? Well isn’t that quite the elevator pitch. 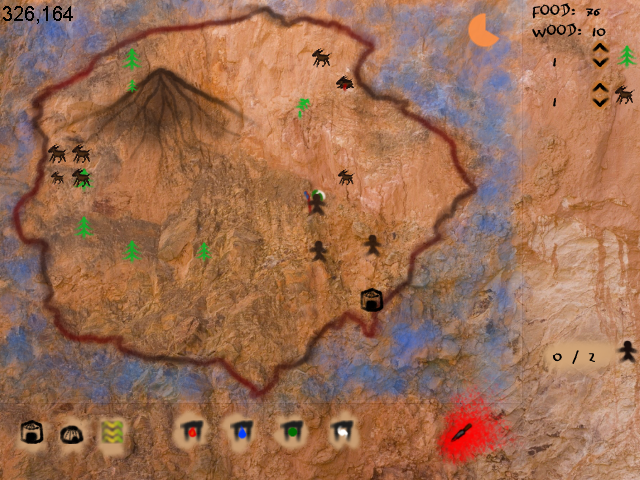 I’ve got a very basic prototype sort of working – you can explore a plague town, loot corpses, trade with the inhabitants and die of infection. It’s possible to get infected by pretty much anything – the inhabitants are either infected or not, but they don’t necessarily show any outward sign of their infection. Every trade you make is a risk. This still needs serious work. Some systems are in place but it’s still hard to know how it will feel when everything’s implemented. But it’s ticking along and I’m happy with where it is right now. Ok, this is the main one right now. I had this idea three years ago. I started working on it. I accidentally deleted the source code. (NB: Always back up!!!!) Fastforward to 1 year ago. I was making the Steampunk Space Game and feeling wiped out – I’d bitten off more than I could chew. So I took a break and started rebuilding this from scratch. Ironically I found myself stumped by various problems in October, and decided to put this on hold so I could go back to the Steampunk Space Game. Clearly, I have an avoidance problem. I was mostly stumped by the ending. But I think I have a clear vision for it now, so it’s full steam ahead! Of all three games, this is the one I’ll release first – if all goes well. Ugh. I just booted this up to grab some screenshots, and it’s broken. Clearly I implemented something and broke something else without realising. Oh well! All part of the fun. If you’ve read this far – thank you! I know this was long but I thought it was important to let people know where I am right now.